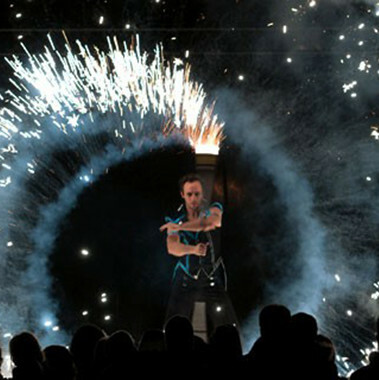 The Live Duo Flamba offer spectacular fire performances with unique effects and high end technical precision. For their performances, Chris and Aleks combine strength and dynamics with intensity and coolness. 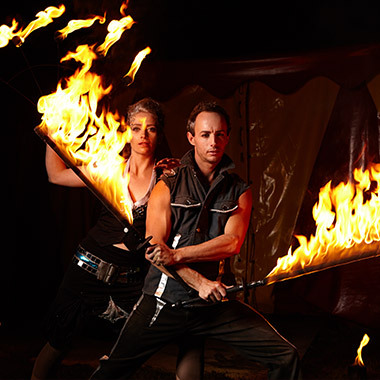 It is their passion for the unruly and fascinating element of fire that drives them to keep developing and refining their shows at a level of international renown. Light performances are ideal for indoor settings and other places that don’t allow the use of fire. 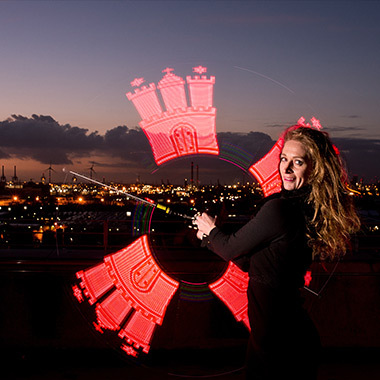 We work with the latest in LED technology to conjure up fascinating surprise effects of literally endless possibilities. As a special highlight we can incorporate your brand, logo oder other graphics into the performance and thus place your theme or message as key visual aspect in the foreground. 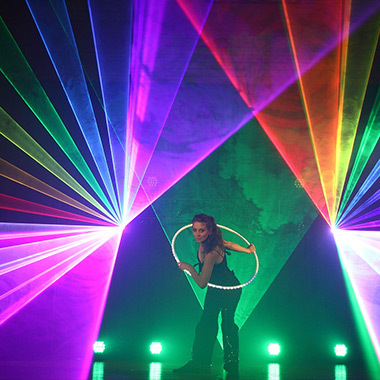 The light show act can also be combined with a fire show in order to provide an additional highlight for your event. This prime offer, comprised of superior athleticism and refined elegance, lends itself especially to classy occasions such as Vaudeville-themed events, upscale parties or gala shows. 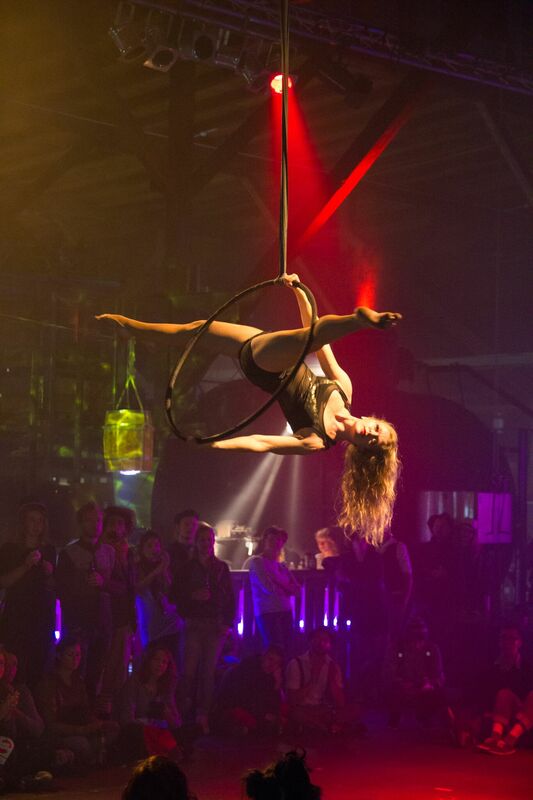 We will add sparkle and glamour to any occasion with our range of air acrobatics, hoop shows and walk acts. Flamba presents their shows worldwide – ranging from private festivities such as Weddings or Birthdays up to Corporate Events of any dimension, public major Events, Festivals and TV-Shows. 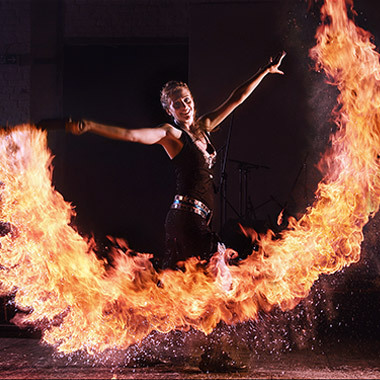 Flamba, that’s passion for fire, dance and performance. Creativity and sensuousness on one side, presence and full power on the other side characterise her. Her skill as well as her expressiveness in dance are captivating. 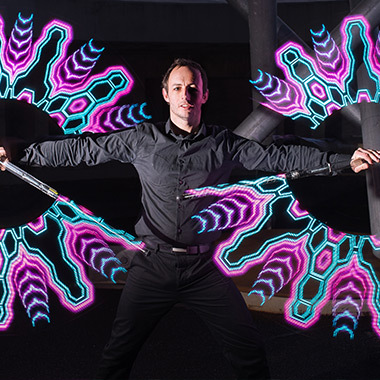 A passionate Artist is pure vitality on stage, a entity of energy swirling through the show.